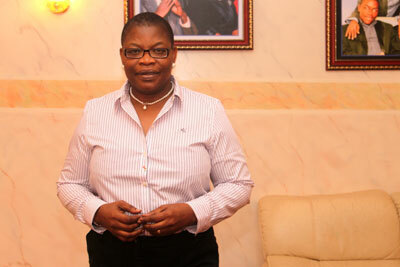 Ezekwesili, while addressing the recruits, had said I am, therefore, appealing to the president to immediately ask the military as well as the Nigerian Immigration Service to do what is right, give justice to all these young men and women who, on the basis of merit, were appointed into positions in the NIS. I want to say that if justice is not given to them immediately, I certainly will join them in sitting here every day until they get their justice. Justice is to be able to come to table with them. Whatever the challenges are, let it be known, but dont let anything be done in secrecy, and let nothing be done with such opaqueness. These young people are the present of Nigeria, not just the future of Nigeria. If we dont treat our young right, we are laying ourselves up for what we already have troubling us in the country. So, I join my voice with them and I appeal to the President whom they have come to see to immediately do something about their cause. And I also use this opportunity to speak to the Federal Government, there have been too many instances of allegations of illegal recruitment into the public service. If our public service is dysfunctional and you are worsening it by recruiting people through the back doors, people who dont have the talent, skills, competence, capacity, character to be able to give us good service in public service, then, we certainly have no plans to be better than we are. So, we should just from henceforth desist from doing this. And usually, when these illegal recruitments are done, we sacrifice the best for the worst among us. Usually, when these illegal recruitments are done, what ends up happening is that the children of the poorer segment of our society who struggle to get through their education are left behind, then, that is the basis of worsening inequality. We cannot afford this and an unequal society is a society laying itself up for implosion and God forbid that would be the case with our nation. I want to just applaud all of you for coming out and standing, standing for your cause. I want to say that I would actually be speaking to a lawyer who will become your lawyer in this matter, so that, not just would you be on the streets, but you would have to get legal redress of your situation, because thats very important. I also applaud the fact that you have been civil. Today is Saturday, I dont know what your plan is, Saturday is not a work day. Sunday is also not a work day. So people might say they are not at work, thats why they are not able to speak to you. Maybe what we would do is have a discussion among yourselves and perhaps resume your sit-out by wherever you chose to do that, by the first day of the week. Then whatever you want to say to the President, I think you should give the opportunity for all your members to speak to the President. Hes the one you came to see.